As soon as the holidays are over, the seasonal aisle is letting us all know Valentine’s Day is just around the corner. While I’m not much for Valentine’s Day, I don’t know what I would have done without my best ladies these past couple years! So, I’ll be celebrating them this Galentine’s Day! I can’t think of a sweeter way to spread a little love to my best gals than French Macarons (or Macaroons). I know many people find macarons intimidating. I’ve heard stories about pancake-flat macarons falling apart instantly. I think the first recipe I ever tried turned out something like that, in fact. 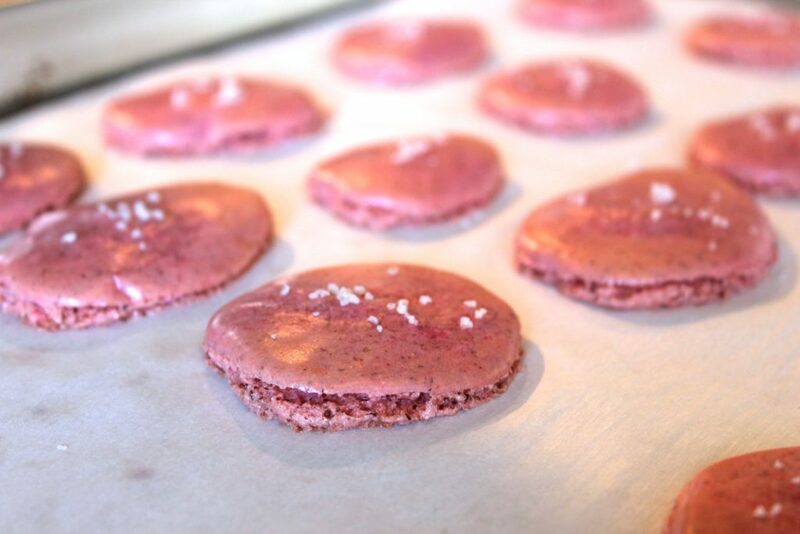 But my love for macarons won out as I made them again and again with various recipe tweaks, tricks, and variations. Now, I feel like I’ve pushed the right combination of buttons to bake up chewy macarons – with the elusive “feet”- every time! And based on the number of baby showers, bridal showers, and birthdays they are requested for, I know my best gals are obsessed, which makes them perfect for showing little love to these ladies on Galentine’s Day! Line 2 large baking sheets with parchment paper. 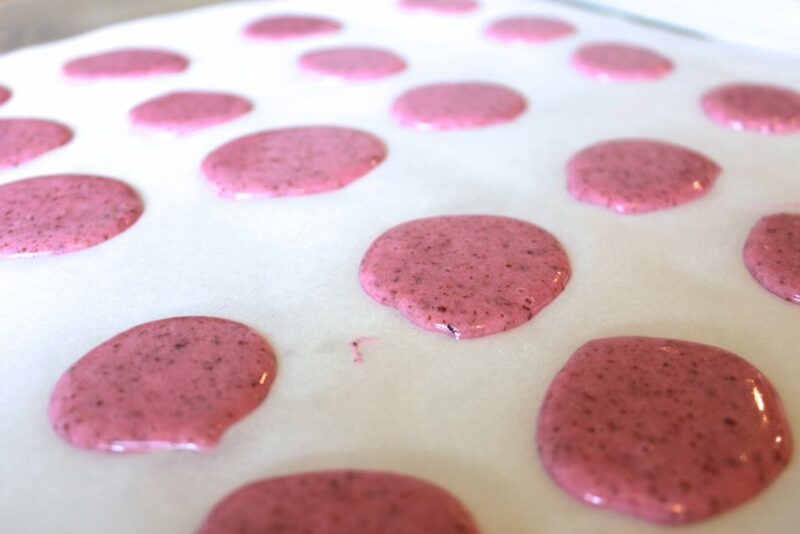 Parchment paper is essential for making macarons. First, sift almond flour through a fine mesh sieve. We only want the very finely ground pieces. Reserve any bits too large to pass through the sieve easily for another use. 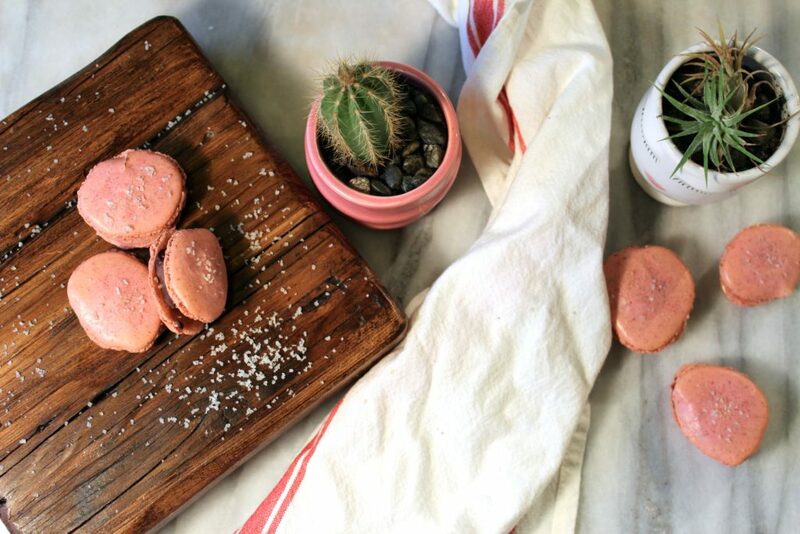 Continue sifting out larger pieces until you have 1 cup of finely ground pieces. Whisk sifted powdered sugar into almond flour. Set aside. In stand mixer fitted with wire whisk attachment, beat egg whites, superfine sugar, and pinch of salt until medium peaks form. Be careful not to overmix! In 2 additions, fold almond flour mixture into the beaten egg whites with a rubber spatula stirring from the bottom of the bowl to prevent deflating the whites. Add food coloring and using spatula stir from the bottom of the bowl to incorporate. Once combined, work in batches to transfer ½ of batter to a pastry bag fitted with a ¼” diameter circular or star shaped pastry tip (Don’t worry! The star shape won’t show once piped.). On parchment lined baking sheets, pipe enough batter for a 2” diameter circles to form. Repeat with remaining batter. Preheat oven to 375 degrees with racks positioned in the upper and lower thirds. Use a toothpick to pop any bubbles that rise to the surface of each piped round. In total, you should have about 36-40 rounds, which will yield 18-20 macaroons. 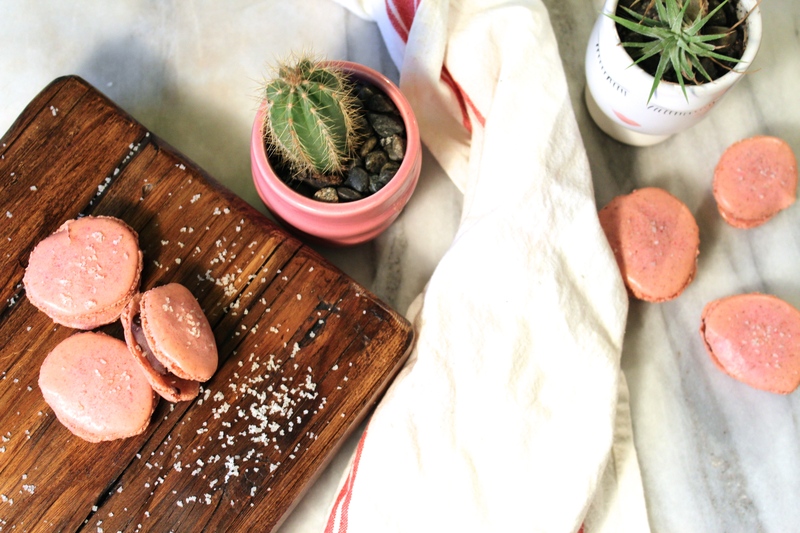 Allow macarons to rest on baking sheets at room temperature for about 20 minutes. This will help them to form a slight skin on top, which I have found helps them form “feet” rather than falling flat when baked! After rounds have rested, bake for 5 minutes. Then remove from oven and sprinkle tops with gray salt. Reduce oven temperature to 325 and bake for additional 10 minutes, rotating the position of the baking sheets half way through. When done, tops should be slightly puffed and a little golden. Depending how pink you made your cookies, the golden color might be challenging to see. Set cookies aside on baking sheets to cool. Once cookies have cooled, carefully peel them from parchment paper. Cookies can be made and stored in an airtight container up to 24 hours ahead. 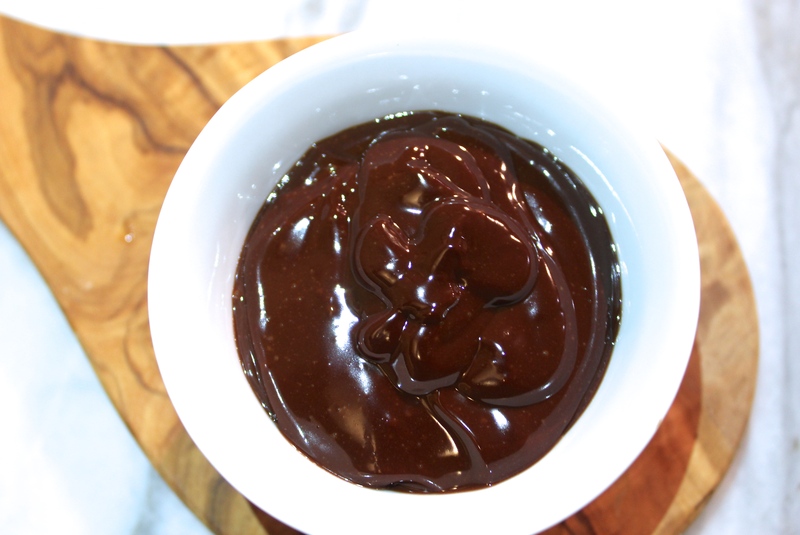 To make ganache, place chocolate and cream in a small saucepan over low heat. Stir constantly until chocolate has melted. Remove from heat and immediately stir in butter until smooth. Then immediately stir in vanilla. Transfer to a heat-proof bowl and allow ganache to cool to room temperature (about 20-30 minutes). We don’t want it to thicken up too much because the cookies are very delicate. To assemble the macaroons, add about 1/2 teaspoon of ganache to the half of the cookies. 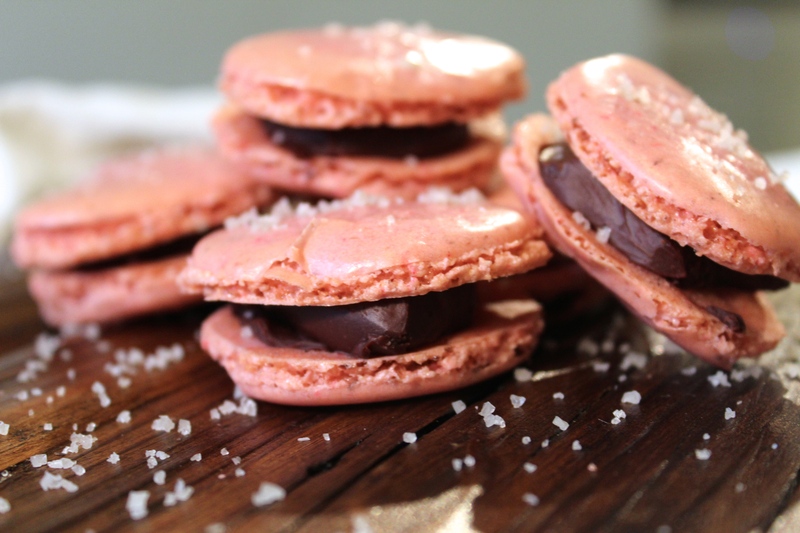 Sprinkle ganache with pinch of gray salt and sandwich between a second cookie macarons! Assembled macarons can be stored in an airtight container and refrigerated for up to 3 days. 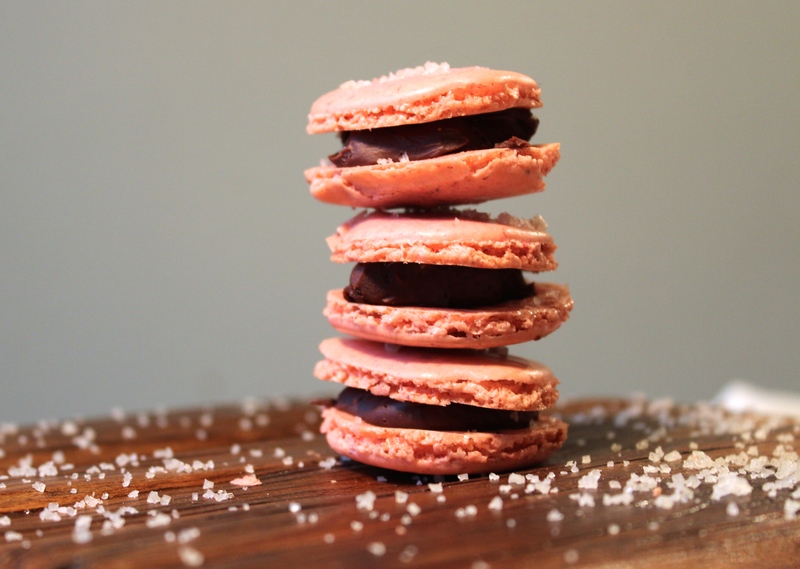 If you make these macarons, don’t forget to tag #girlsonfood on Instagram. We love to see what you create!